“Nimmons ‘N’ Nine” was one of the most important and influential jazz ensembles in Canadian jazz history and the Group was very instrumental in shaping the current jazz scene in Canada. Although the group was originally formed as a rehearsal band to allow Nimmons an opportunity to hear his compositions played, “Nimmons ‘n’ Nine” later went on to record several albums, perform on countless Canadian Broadcasting Corporation (CBC) radio and television broadcasts, and perform at various concerts overseas in France, Germany, and Cyprus. 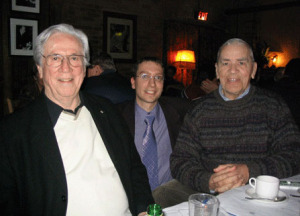 Not only did many members of the Group go on to form their own ensembles and gain international acclaim, but many current Canadian jazz artists grew up listening to the “Nimmons ‘N’ Nine” on radio broadcasts and watching them on television. Nimmons’ compositions for the Group incorporated the use of sophisticated jazz harmonic structures, quite imaginative and original orchestration, and successfully amalgamated traditional jazz forms with European classical forms. The initial idea to form this group grew out of Mike Cadó’s personal interest in the compositional and orchestration techniques of Phil Nimmons, his Master’s research at York University, and his sheer admiration with the extraordinary ensemble and solo playing of the original group. Led by guitarist/composer Mike Cadó, The Mike Cadó Tentet performs compositions that haven’t been heard for over 40 years and many of the musical selections have never been commercially available on records or CDs. Equipped with the original arrangements, the dynamic group interprets these historic compositions and also performs new compositions by various group members. The group consists of Canada’s finest jazz musicians including John MacMurchy – clarinet, Andy Ballantyne – alto saxophone, Kelly Jefferson – tenor saxophone, David Mott – baritone saxophone, Jason Logue – trumpet, William Carn – trombone, Tom Szczesniak – accordion, Mike Cadó – leader/guitar, Andrew Downing – bass, and Anthony Michelli – drums. Past members of the group have included Perry White and Pat LaBarbera – tenor saxophone, Chase Sanborn and Steve McDade – trumpet, Terry Promane – trombone, and Don Thompson – bass. 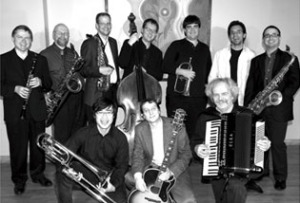 Since the group’s formation in 2003, The Mike Cadó Tentet has performed for the “Sounds of Toronto” Concert Series hosted by JAZZ FM91, the Markham Jazz Festival, the Ottawa Jazz Festival, The International Association of Jazz Educators Conference, and at various clubs including the Montreal Bistro and Lula Lounge in Toronto. 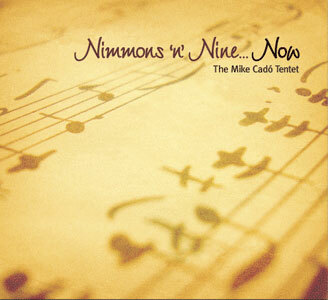 The Mike Cadó Tentet is a tightly-knit group that presents innovative and sophisticated music that pushes the boundaries of modern jazz while still maintaining a strong sense of earthy swing…seemingly effortlessly!